We Can’t Wait to See You at the 2018 WestPack Expo Next Week and Don’t Forget to Stop by the Balluff Booth! 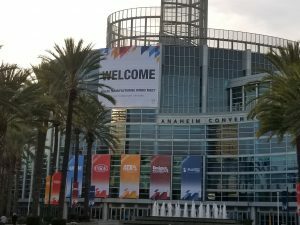 There’s still time to register and attend the WestPack Conference and Expo next week at the Anaheim Convention Center on February 6 – 8, 2018. And don’t forget to stop by the Balluff booth! WestPack connects you with serious packaging professionals for three days of design and manufacturing immersion you can’t find anywhere else. Connect with over 20,000 engineers and executives who are ready to forge business partnerships. Learn from industry luminaries presenting their insights. This is your chance to find answers to your current packaging challenges — from design to labeling — while keeping up with the latest innovations reshaping the industry.